Water collects in motor oil during cold winter months, and can convert into highly corrosive sulfuric acid. To detect acid and other contaminants, WaveOn Technologies developed Lubricheck, the world's first affordable oil testing gadget, capable of detecting as little as 0.3% water, and safely permitting extended oil changes. Water naturally condenses inside an engine from combustion, and when moist air is drawn in and contacts cool surfaces. Typically, after a few minutes, this potentially damaging water quickly boils away when the engine reaches normal operating temperatures of about 212F (100C). However, during frigid winter months, it can be a very different story. Engines may rarely get up to full operating temperature during short trips, stop-and-go traffic, and long idling. Under these conditions, this 'winter water' can reach dangerous levels. Running the engine mixes the condensed water into the oil. Depending an the amount of water, this oil/water mixture may not provide the lubrication and corrosion resistance needed to prevent engine damage. And, if that is not bad enough, when combustion gases combine with water, sulfuric acid is produced. To eliminate this home grown acid, oil manufacturers add neutralizing chemicals to their oil. But, winter driving conditions produce acid at a rapid rate, potentially depleting additives before the next planned oil change. When the oil additives are gone, the acidity of the oil rises, and the pH drops. Acidic oil is particularly corrosive to the relatively soft bearing materials used at many critical points in an engine. Detecting either water or acid in motor oil has historically meant mailing a sample to an oil lab for a $30 to $50 analysis. Results can take several days. But, now there is a new, instant and inexpensive option. 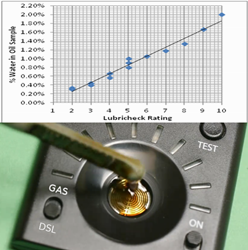 Thanks in part to a successful Kickstarter campaign, the Lubricheck may be purchased on Amazon, from the Lubricheck website http://lubricheck.com, or directly over the phone at 855-low-waste. Lubricheck comes with a full one year warranty, and is designed and assembled in the USA. 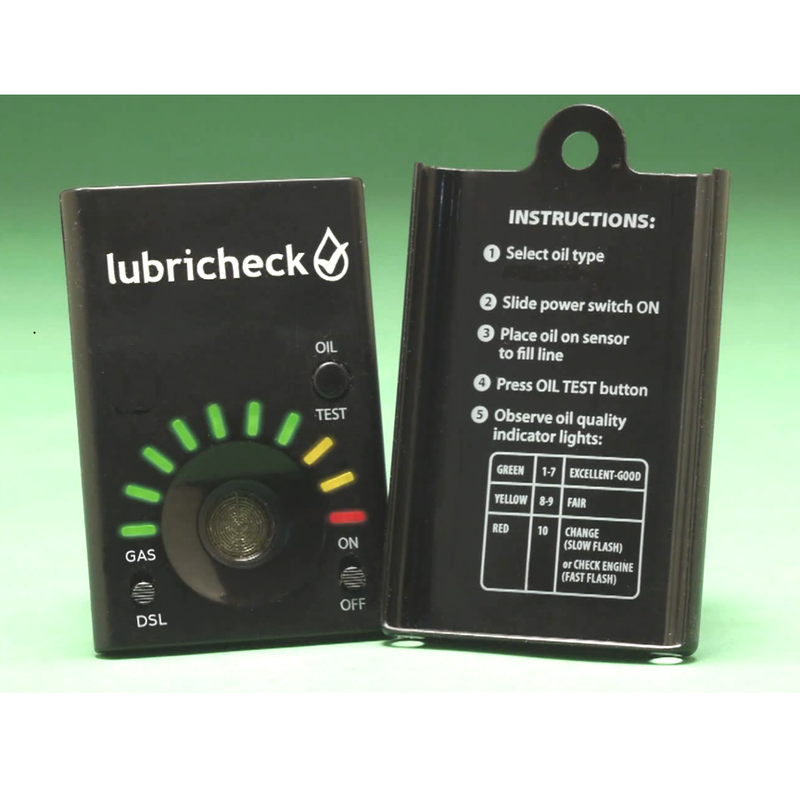 Lubricheck Detects Water in Motor OilLubricheck and Water-Oil Graph Lubricheck Oil TesterPocket sized oil tester comes with protective cover, Rates oil 1 to 10.